My space opera Right to Know is part of a new science fiction StoryBundle featuring authors and friends of Ottawa’s Bundoran Press (which published Right to Know and the sequel, Falcon’s Egg). If you pay at least the bonus price of just $15, you get all four of the regular books, plus EIGHT more! It’s also super easy to give the gift of reading with StoryBundle, thanks to gift cards – which allow you to send someone a code that they can redeem for any future StoryBundle bundle – and timed delivery, which allows you to control exactly when your recipient will get the gift of StoryBundle. Science fiction is our conversation with the future. That’s the philosophy of Bundoran Press Publishing House. But how can you have a conversation without friends? 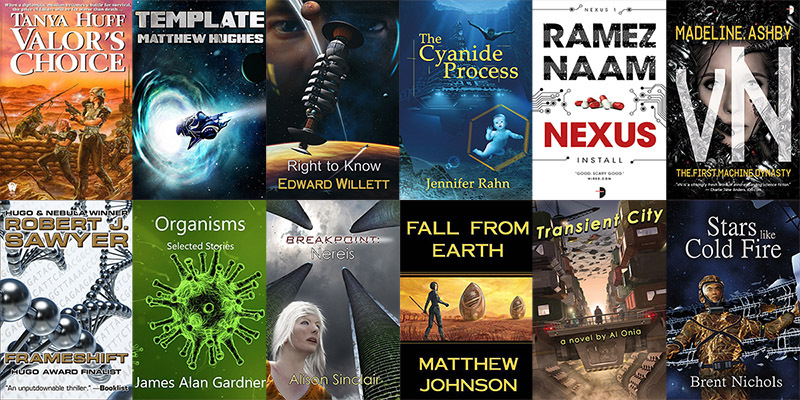 That’s why I’m curating this twelve-book science fiction bundle for StoryBundle, made up of eleven novels and one short story collection from established greats and rising stars. Half of the books were published by the Press and the other six come from some fabulous authors who have been our friends and supporters for years. From near future thrillers to far flung space empires, this bundle of twelve books encompasses the whole range of the science fiction you love. In this bundle, we have some of the best writers in the field ready to entrance you with brilliant tales and engaging characters. Don’t forget to click here to read much more about! So, what are you waiting for? Great science fiction at an amazing price. Check it out now!